Used Daewoo Engines - Finding a used motor is a snap at ASAP Motors. Please complete the following fields to receive bids for Daewoo parts! To begin getting quotes for used Daewoo engines, simply fill in and submit the form above. Within minutes, ASAP Motors will connect you with our network of reputable auto parts sellers. You may receive quotes via phone, email or text. Daewoo Motors was a subsidiary of the South Korean company, Daewoo Group. While it grew out of an automotive manufacturer that originated in the 1930s, it didn’t join Daewoo Group until the early 1980s. The vehicles from Daewoo tended to be coupes, sedans and hatchbacks. Overall, Daewoo was known for making smaller vehicles, though the styles ranged from luxury sedan to mini cars to compact, multi-purpose vehicles. Financial trouble forced the Daewoo Group to sell Daewoo Motors to General Motors around 2000. You can spend endless hours going through the phone book and calling junk yards, dealerships, auto part shops, used part dealers and auto part recyclers looking for a replacement Daewoo engine. With our service, you are only about 1 minute away from an answer. The search service is provided at absolutely no cost to you and there is no obligation on your part to purchase any of the motors our search finds. You can easily refine your search criteria to narrow down the results and find exactly what you need to get your vehicle running well again. Simply fill out the form above to get started. Whether you’re looking for an X20SED for a Leganza or a Family II I4 for your Nubira, ASAP Motors is prepared to help you find the exact engine you need, and at the right price. At one time, the Daewoo Group was the second largest conglomerate in South Korea, second only to Hyundai. The auto segment of the brand worked closely with GM, which bought Daewoo Motors in 2001. While Daewoo was not a top-rated vehicle maker in terms of quality and safety, it does still exist in the form of GM Korea, and has achieved a higher status. Daewoo cars ran on a range of different engines, including the E-TEC I4, D-TEC and S-TEC. Q: How much do used Daewoo engines cost? 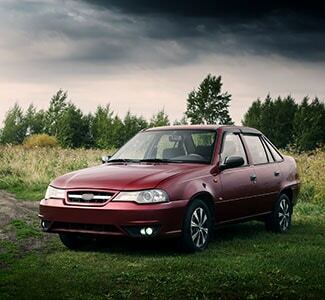 A: Depending on the model and year of your Daewoo, the correct engine will fall within a wide range of prices. However, you can generally expect to pay somewhere between $300 and $1500. Q: Who made Daewoo engines? A: Although many of the Daewoo Motors cars were based on GM models and other existing concepts, Daewoo did make its own engines. In 2001, GM purchased Daewoo, and GM Korea (formerly GM Daewoo) does still manufacture engines in South Korea. Some Daewoo engines were made by Australian auto manufacturer and importer, Holden. Q: Are used Daewoo engines reliable? A: Daewoo cars do not have a reputation for being long-lasting and reliable. That said, there are plenty of people who enjoy their Daewoo and report getting good mileage. As with any used engine, we recommend that you talk at length with your broker to learn about the engine’s history and performance. Q: Do used Daewoo engines come with a warranty? A: ASAP Motors does not sell the used engines directly, and so does not offer warranties. However, many of our brokers do offer warranties on used engines. Be sure to ask if the used Daewoo comes with a warranty, and what parts are included. Produced from 1997 to 2002, the Daewoo Lanos was a compact vehicle based on the GM T platform. Earlier generations of the Lanos featured SOHC engines, which are common and in relatively high demand. Later generations used DCVCP and A16 engines. Other features of the Lanos include GmbH airbags, ABS and an automatic transmission. The Daewoo Leganza was produced from 1997 to 2002. Also known as the V100, Leganza initially used engines made by Australian auto importer and manufacturer, Holden. This front-wheel-drive, four-door car is built on the GM FF platform, and the engines are similar to those in the Magnus and the Espero. Manufactured from 1997 to 2002, the Daewoo Nubira existed as a hatchback, station wagon and sedan. Successive versions improved on room, road noise and motor vibration with an additional engine mount. In the U.S., Nubiras contained a dual-overhead cam 16-valve 2-liter inline-4 GM ‘D-Tec’ gasoline engine.